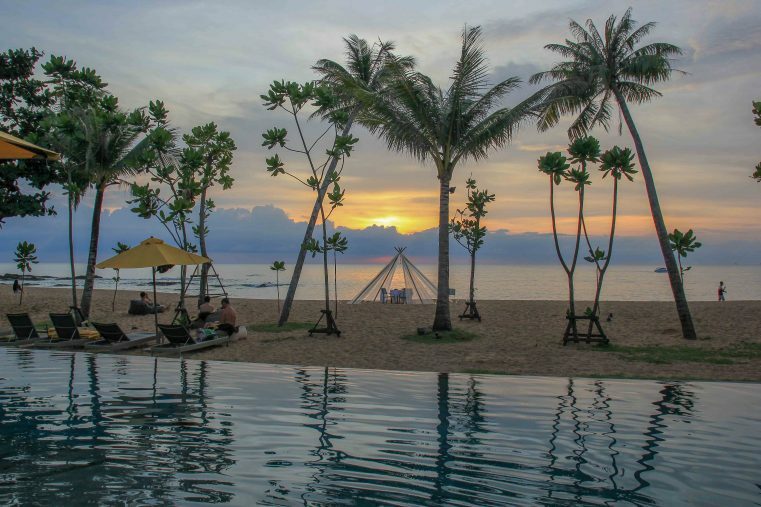 The beautiful La Vela Khao Lak is located in Thailand‘s holiday destination Khao Lak on the west coast of Thailand. 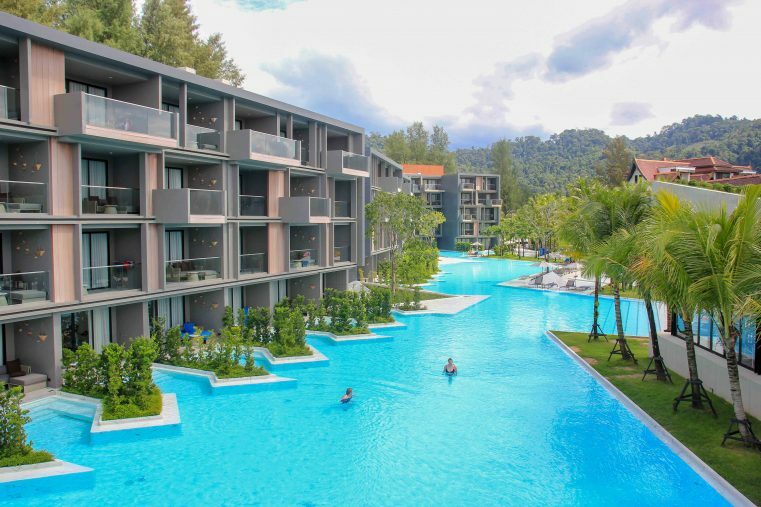 As one of the top hotels in Khao Lak we were there to show you more about holidays of la Vela Khao Lak. 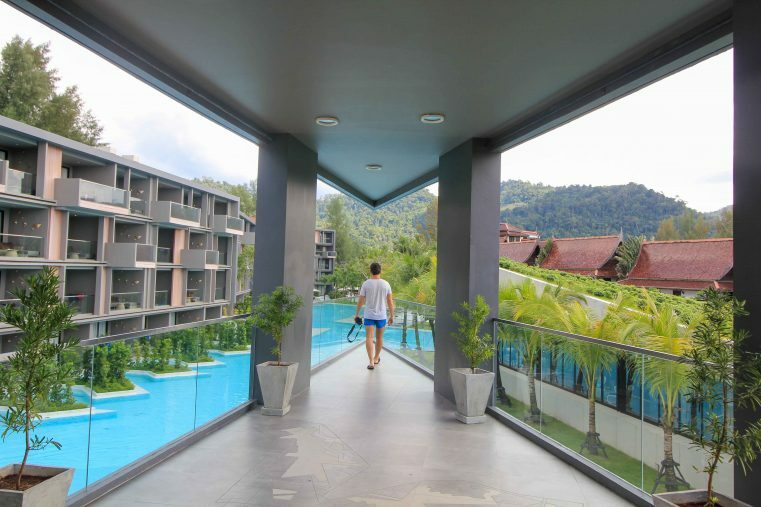 In this blog article we share with you our experiences and best pictures of our stay and we’ll show you which highlights awaite you during your stay at La Vela Khao Lak. 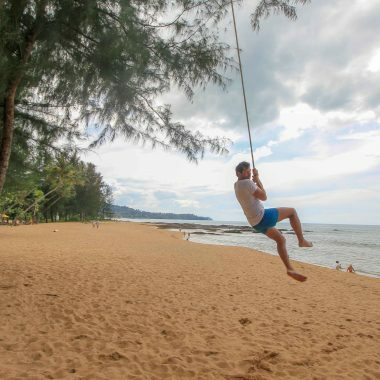 Beware, not only beach lovers will love this great piece of earth: Awesome excursions and exciting activities around Khao Lak for sure won`t let you get bored. 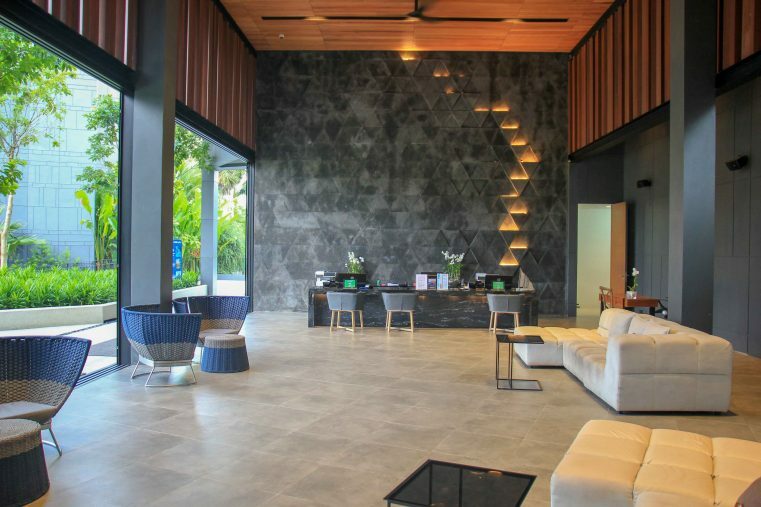 Located directly on the beautiful Bang Niang Beach you will find the Hotel La Vela Khao Lak – a stylish design hotel that just opened in 2017. 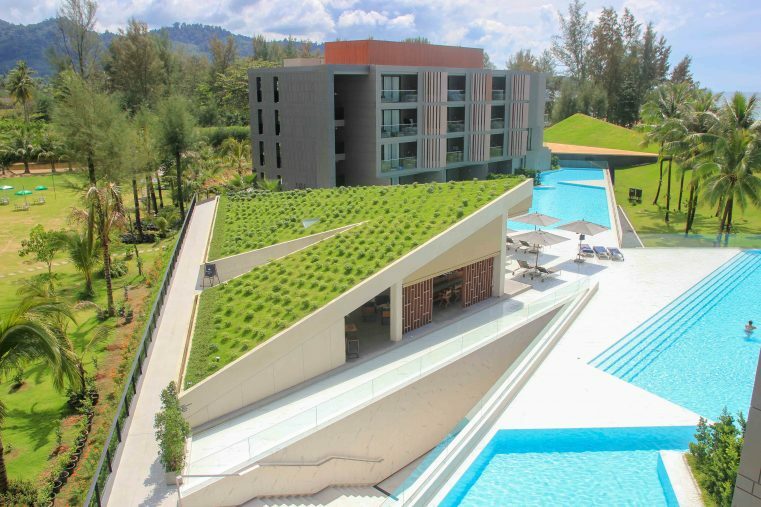 This fabulous 4-star resort is one of the most awesome places in this holiday region. For that, a stay is a guarantee for a relaxing and unforgettable holiday in Thailand / Khao Lak. 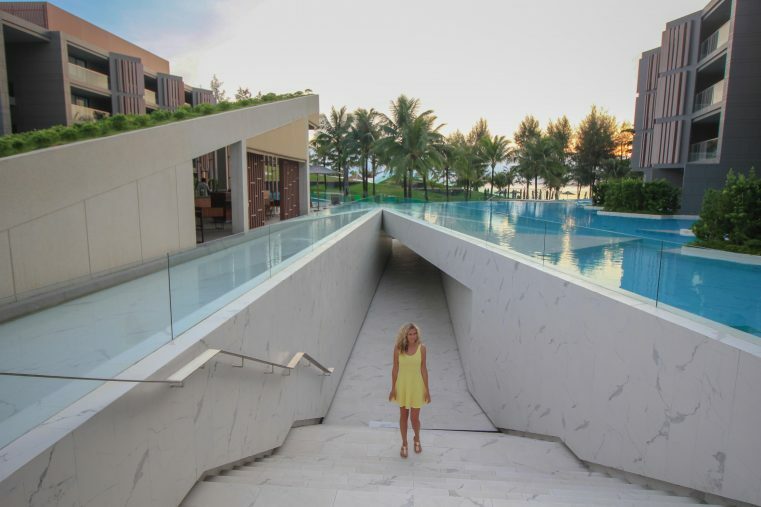 Exceptional design, breath-taking pool landscapes and the great location on Bang Niang Beach – the hotel has lots to offer. The breakfast is just delicious and very healthy. Also a gym for fitness, yoga classes and spa area can be found in the hotel as well as a cosy cafe and a great infinity pool bar with breath-taking sea views. Especially the huge pool area has impressed us a lot. The size is incredible and so you will have plenty of privacy and really enough space to swim and enjoy. The extraordinary design is inspiring and if you love photography a true eye-catcher. Perfect for taking amazing holiday pics. Really fantastic is that some rooms even offer a direct pool access, but more later. 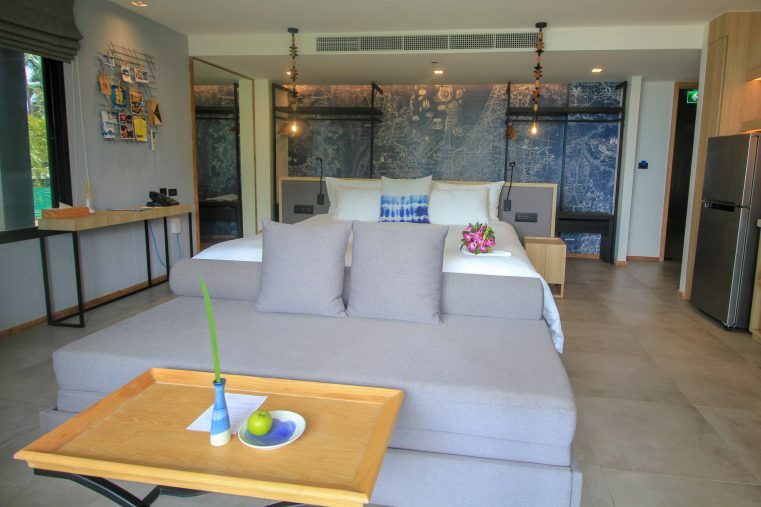 The rooms at La Vela Khao Lak are modern and chic, nevertheless very cosy and tastefully decorated. The entire hotel complex has around 180 rooms with 8 different room types. For our stay at La Vela Khao Lak we had the deluxe room poolside with direct access to the huge pool area. We loved the private jacuzzi on the room terrace most, from where we had a wonderful view of the Bang Niang Beach. In addition, the rooms are equipped with a nice bathroom, low-priced mini bar and large TV. Our tip: Here you can check the excellent reviews of this hotel! 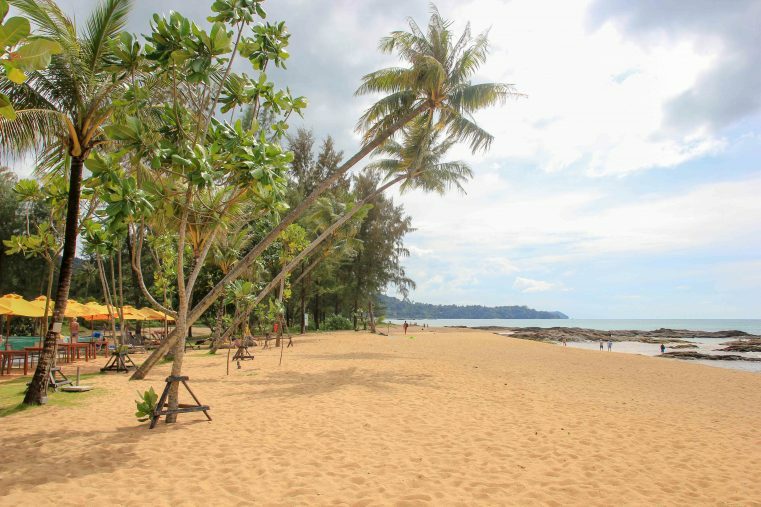 The beautiful 1,5 km long Bang Niang Beach is one of the most famous beaches at Khao Lak. The slightly reddish soft sand gives a fantastic contrast to the blue sky and the palm trees. Both, at low tide and high tide swimming is possible and some trees provide cool shade at lunchtime. On our last visit in November, the Bang Niang Beach was pleasantly quiet and not overcrowded. Tip: Romantic ones can book a private dinner with sunset directly at the hotel beach! 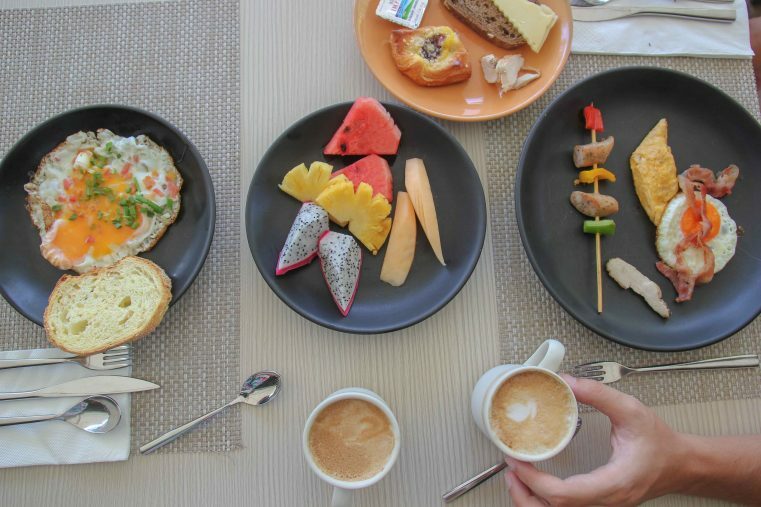 For sure, the varied breakfast buffet at La Vela Khao Lak will leave no wish unfulfilled: Whether fresh waffles, pancakes, hot fresh bread, Thai fruits, delicious egg dishes or even sushi and hot Thai dishes like Pad Thai – your personal breakfast dream will come true. Also, the fresh smoothies and juices are really delicious! Various fair priced culinary offers are sold during the happy-hour times: No matter whether coffee and cake, cocktails, burgers and Co. guests are spoiled with great options throughout the day. In any case, you should try the burger promotion which is more than delicious! For all who like to party: Every Saturday there is a pool party fire-eater and DJ at the Beach Bar of The La Vela Khao Lak. On the day of arrival, the Check-in time starts at 14:00, whereby the lovely receptionists always take care to make it possible to move into your room in advance. On the day of departure, the Check-out time is scheduled until 12:00. Additionally, there are beautiful showers and changing rooms available, for guests who want to use the great pool area for a bit longer. Also, the location of the La Vela Khao Lak is really good. The Hotel is situated directly on the Bang Niang Beach, on the other hand you will quickly find yourself in the local life again. Along the access road you will find numerous good restaurants and bars, shops, excursion agencies, scooter rentals and also some currency exchange offices and ATM`s. Really amazing is a visit to Bang Niang Market that takes place 3 times a week. Here you will find numerous yummy street food stalls and so you will have the chance to taste typical Thai cuisine. 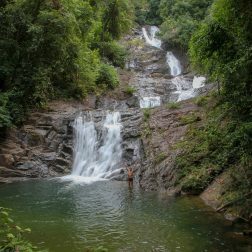 The best way to explore the most beautiful beaches and waterfalls of Khao Lak is by riding a scooter. Scooter rentals can be found there like sand on the beach. We rented our scooter from the dear Ing (right near La Vela Khao Lak – khaolakbeach.ing@gmail.com phone: 084-6263942) just near the hotel and we were very happy with our choice. The roads in Khao Lak are well maintained and the locals are careful drivers. Around Khao Lak a lot of interesting areas can be explored and that’s why the Bang Niang Beach is an ideal starting point for excursions. 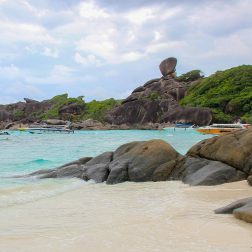 Especially recommended are the speedboat tours to the famous Similan Islands and the Surin Islands. 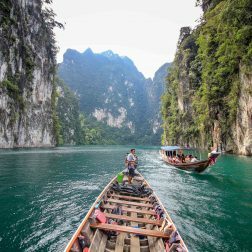 Also, a visit of the Khao Sok National Park with its deep jungle and the large Chiao Lan lake is an absolute TOP highlight. Moreover, you will find a large number of beautiful waterfalls in that area. We highly recommend a trip to the Lampi Waterfall (30 km from Bang Niang Beach). And all of you who love nature should definitely go and see the Lam-Ru National Park. Along the coast you will find plenty of wonderful sand beaches. 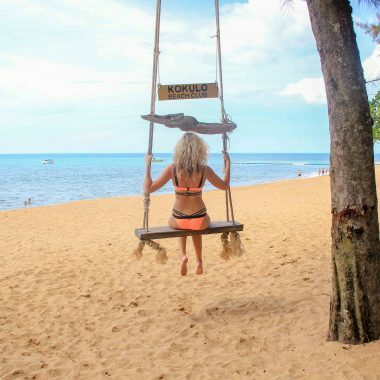 Here you are going to find the best beaches in Khao Lak. Really touching is a visit to the Tsunami Memorial commemorating the victims of the 2004 tsunami. This place is located near Bang Niang Beach and can be reached by a short walk. Resume: Service – holiday atmosphere – culinary all our experiences at La Vela Khao Lak were really positive and we can only recommend this dream hotel on Bang Niang Beach. La Vela Khao Lak on Bang Niang Beach is definitely one of the best hotels around Khao Lak. On booking.com you will find all reviews and information about the hotel.